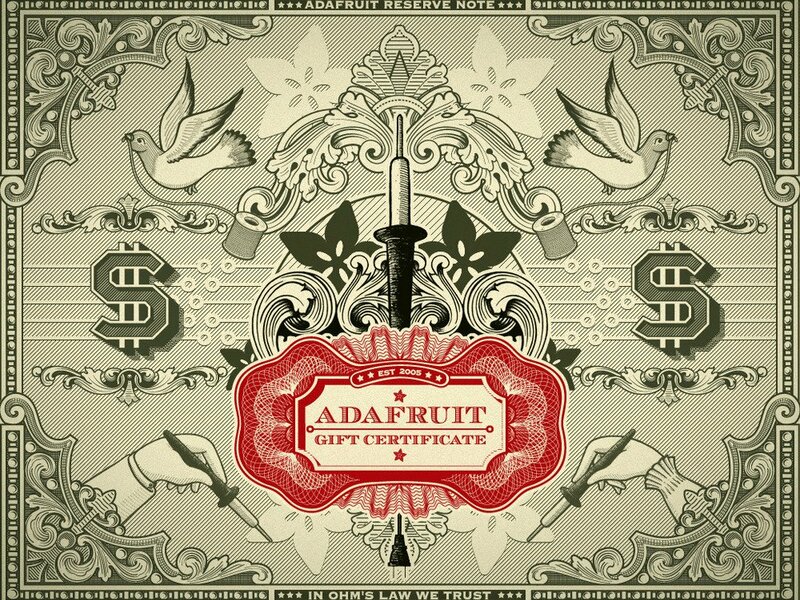 Adafruit Gift Certificates – Give the gift of options! « Adafruit Industries – Makers, hackers, artists, designers and engineers! Adafruit Gift Certificates – Give the gift of options! Know someone who loves electronics and has been pining for a FONA, but you aren’t sure if they mentioned uFL, SMA, 800 or 808? Or maybe it was a Feather…or Feather Wing? Want to buy the perfect gift but don’t know whether your Maker friend is an Arduino aficionado or a Raspberry Pi devotee? Just a fan of Bruce Yan’s incredible design? Maybe you know someone who loves electronics and needs a good place to start! If you’re any of these, or more, buy an Adafruit Gift Certificate – the perfect cyber-present for the electronics geek in your life. See our range of gift certificates here and learn how they work here! Comments Off on Adafruit Gift Certificates – Give the gift of options!